Do I Need Extra Help or Is What I'm Feeling Normal? Survivors Include . . .
Where Can I Take My Broken Heart? Dr. Lee Drake and Sherry Williams White share coping tips for the grieving family. 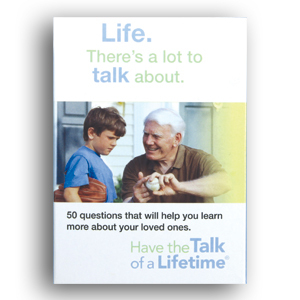 They stress that communication is the key for a family coping with grief. It is important to be together to talk, cry or even sit in silence. At the same time, there should be respect for each member's way of handling grief. Each member of the family has a different personality and different coping styles, so it is unfair to expect everyone to grieve the same way. As funny as it may sound, each family member must grieve alone but with each other as well. 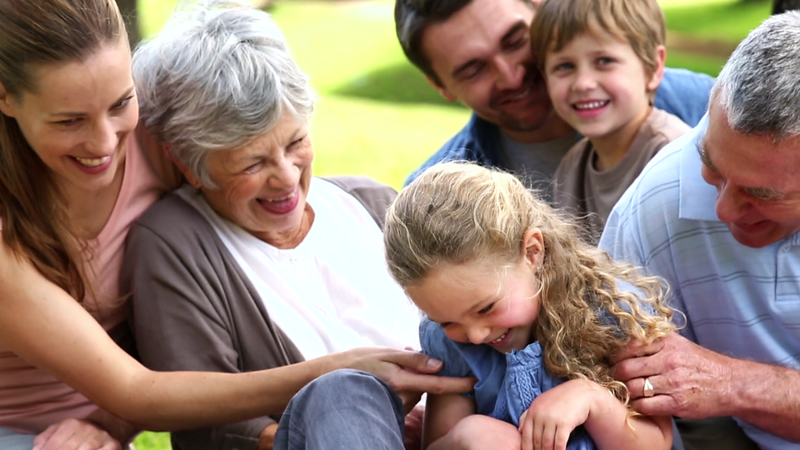 Sharing your grief as a family will help you grow as a family. After losing a dear one, many people are swimming in a sea of sadness, looking for help. Songwriting or "composing grief" may be another float you can grab onto until time eventually moves you to a safer place. Susan Smith, editor and writer, uses an allegorical story about a teal cup to explain how we are molded by our experiences in life. She explains that God knows what He's doing for each of us. He is the potter, and we are His clay. He will mold us and make us, and expose us to just enough pressures of just the right kinds that we may be made into a flawless piece of work to fulfill His good, pleasing and perfect will. So, when life seems hard and you are being pounded and patted and pushed almost beyond endurance, when your world seems to be spinning out of control, when you feel like you are in a fiery furnace of trials, when life stinks, try this: Brew a cup of your favorite tea in your prettiest tea cup, sit down and think of this story. And have a little talk with the Potter. Written by Julie Raque, this article gives you simple and very practical tips on how to lessen the burden of grief. Julie, a young widow with children, explains some of the things she did to help her recreate a quality life for her and her children. She explains how to navigate through grief and get the so-called "monkeys off your back while you create the new you." Susan Smith, writer and editor, shares three different stories about how people have honored their grief and created memories so they could move into the future holding onto love shared. These three women have very different stories but all of the women had the goal of creating memories and remembering the love. Perhaps you will find an idea for you. How do you look at life? How do you look at death? How do you look at grief? In this article, Sherry Williams White, nurse, writer and grief specialist, shares the analogy of grief and a kaleidoscope. She explaines how the shards of glass inside the kaleidoscope when held toward the light (which represents our hope and beliefs) changes the picture. Your picture becomes something different, not better or worse, just different. Life with a different and new meaning that includes your memories and the desire to make your loved ones life as well as their death have meaning. 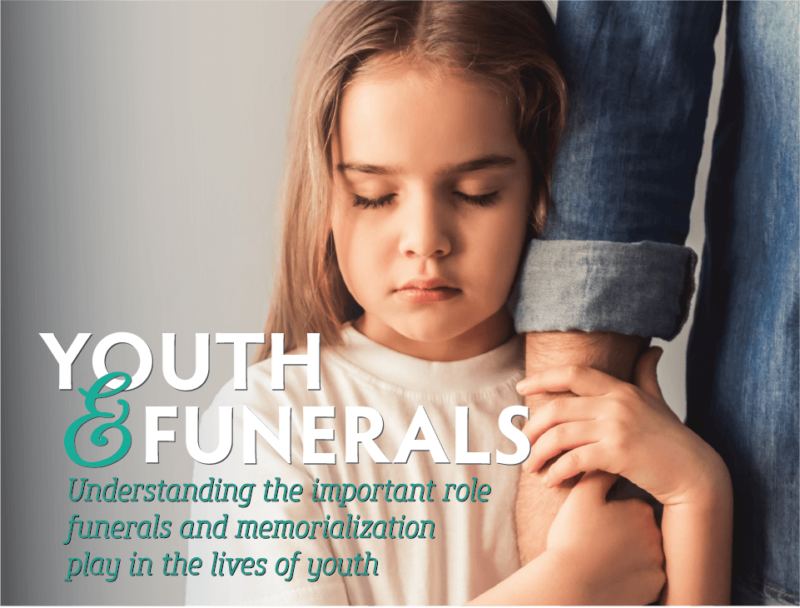 Adapted from a Griefwork Newsletter, Sherry Williams White gives concrete measures to help a grieving individual know if they need to reach out for professional help. She also explains that making the decision to seek help is a sign of strength and demonstrates your willingness to take action and control of your grief. Alan Wolfelt, PhD, writer, counselor, funeral director and Grief Specialist, provides ten touchstones for your grief that will help you listen to your heart and bring it into harmony with your head. He writes: Listening to your heart is also essential on the journey to healing. My years of learning from my own losses, as well as the losses of those who have trusted me to walk with them, have taught me that an open heart that is grieving is a "well of reception;" it is moved entirely by what it has perceived. Authentic mourning is an opportunity to embrace that open heart in ways that allow for and encourage our healing. Life is full of all sorts of "yucky" ingredients. The many things that happen to us all contribute to who we are and who we are constantly becoming. And even in grief, something good can come out on the other side if you will just trust yourself and the process of grief. This story really makes a lot of sense about life and how it molds us into who we are. Sandra Graves, PhD, ATR explains how life development patterns affect how you interpret life and life experiences. At different levels of your development your understanding of what is happening around you and to you changes. These changes in your understanding impact your coping styles and your ability to cope. As she leads you through the ages and levels of development it is import to remember that the temperament with which we are born and the personality we develop determines how we handle life and death. Dr. Sandra Graves explains in this article that, "For all who grieve the death of a loved one, it is important to know that we stand together in an ever widening ring of circles. The impact of a death is like casting a stone into the water. The ripple effect of the incident has many layers and reaches far beyond what may be expected. Each circle stands alone, yet is connected to the center. The circles touch each other before they radiate outward. Each circle in our life has a different significance, both to each of us because we are unique and also because each circumstance is different." Are you looking for hope? Do you feel like you will never find or feel it again? These are normal reactions when someone you love has died. Sherry Williams White, nurse, writer and grief specialist shares six tips for finding hope again. Susan Smith editor and writer provides insight into the power of words as she encourages those who are grieving to journal. When you put things into words, you make what your are feeling and thinking real. When it is in black and white you are allowing yoruself to acknowledge the pain and that is one of the first steps toward healing. Tony Falzano, musician and author, shares his second in a series of three articles on music and how it specifically acts as a healing agent for those grieving a loss. In the previous session, we examined how music can direct our attention from uneasy surroundings and divert us away from pain. This month we'll look at another way music can help us through the grief process. Eloise Cole, Grief Specialist and speaker, writes: Many people live with the illusion of being in control of life, wanting to believe that they are in charge of their choices and their destiny. But as you know, when someone you love dies, you quickly concede that some aspects of life are beyond your control. You find yourself facing circumstances you never ever imagined. You ask, how could this happen? Why me? Why now? Louanne Stanton writes, "I was once told that grief is like an overwhelming wave that washes you from your familiar shore. This powerful and all-consuming force tumbles you in a suffocating environment that cuts you emotionally, bangs you spiritually, and violates you physically. Then this wave spits you out on an unfamiliar beach and forces you to find a new way to live, a new way to survive." Learn how Louanne learned to be a survivor after the death of her husband. To celebrate growing older, Regina Brett once wrote the 50 lessons life taught her. Andy Landis, writer, song-writer and singer, shares her story about walking through a storm and really taking time to reflect on her feelings - she writes: "So I did. For three hours, I watched and listened, not only to what was going on around me but what was going on within me, too. Storms within and without. Storms of enormous proportions. Storms of grief and sorrow, anger and fear. Storms of weeping and wailing and regret and power. Storms of hearing and healing and seeing and guilt. Storms. Powerful, air cleansing storms." True love is neither physical, nor romantic. True love is an acceptance of all that is, has been, will be and will not be. The happiest people don't necessarily have the best of everything; they just make the best of everything they have. Life isn't about learning how to survive the storm, but how to dance in the rain. Richard Santore, author and editor, shares 10 suggestions or guideposts to help you find your way to hope, freedom and healing. His coping strategies will give you peace of mind as you move through the journey of grief. Sherry White shares a story that she received from a friend. The original writer of this allegory is unknown but the simple truths in this story about "The Bamboo and the Ferm" will warm your grieving heart and give you hope for the future. Is there a car wash? A doctor? A pharmacist? A healing bed? What is there for a heart that has been torn apart? Our heart? Deb Kosmer, nurse, writer and grief facilitator, helps you find the answers to these questions in this article about broken hearts. In her article, Dr. Sandra Graves explains the importance of honoring your feelings gives you permission to embrace whatever ritual you may choose to express your mourning, acknowledge your right to grieve and accept the normalcy of your feelings. Respect that the depth of your love and the depth and duration of your grief. Do not worry when your grief subsides. This does not mean that your love is gone! It is simply an indication that you have made the journey from physical love to the spiritual love that is in your memories forever. Tony Falzano, writer, composer and grief specialist, shares in his first of three articles how music can be healing. He writes: Several years ago, I wrote an article that appeared on this site titled, "Music: A Friend to those that Grieve". Since then, people have asked me what are the specific healing qualities within the music and how do you use music to help you work through grief? These are good questions: how do sounds, floating in air, in no tangible form, foster healing for the physical body? Well, one of the major ways that music assists us during grief resolution is that it can be so engaging and interesting, mesmerizing and absorbing that it can actually divert our attention away from what troubles our mind and body. Music can be a distraction. Through the story of the Groundhog's Shadow, Ann Leach teaches you not to dig a hole and hide from your grief. Don't be like the groundhog and disappear when you feel threatened by your environment. Come into the light ready to face your shadow and create the grief recovery you desire and deserve. How do we make good things out of bad? How do we look at the world? Can there be a brighter side even in our pain? This beautiful story demonstrates how important a positive attitude is in our everyday lives. It clearly shows us that it is important to trust ourselves and the process of grief. Ann Leach, Life Coach and grief specialist, describes the inherent loss of memory, confusion and loss of focus grief brings our way when a loved one dies. She provides some simple things you can do to help you regain a sense of control. Tony Falzano, writer, composer and grief specialists writes: Emotions will rise when you listen to music. What usually follows is crying, even sobbing. This is okay and it should be welcomed. It's therapeutic to cry. It's one of the best things we can do. We release hormones, stress and toxins when we release tears. That is why many of us feel better after "a good cry." We let go of pain which helps us return to a calm state. Music augments these moments. There is something about it that heightens the emotion in what we are experiencing. Jessie Flynn, writer, Life-Coach, and grief specialist, shares a story of loving devotion, double loss and invaluable support as she tells the story of a families battle with alzheimers disease and how this family cope. When someone dies, though, it doesn't matter how many times we wake up; they have still died and we are still left to face a new and uncertain future without them. Tough we may wish that we could we can't turn back time an we can't stay in bed asleep forever. Like Dorothy, we may look to others for direction and comfort and may hope also that the Great Oz can fix our situation. Dorothy was able to find some comfort in her companions who were also looking for something. Together, each of them felt not quite so alone and they kept each other from giving up and staying on the road.